Indians, at 6,30,000, comprise the largest expatriate community in gas-rich Qatar which is by size a small nation. India said that Gulf countries should resolve their differences through dialogue. India on Saturday said it is closely monitoring the situation in the Gulf where several countries led by Saudi Arabia have cut off diplomatic ties with Qatar and that the countries have assured continued support for the welfare and well-being of the Indians living there. India also said that the countries should resolve their differences through dialogue. 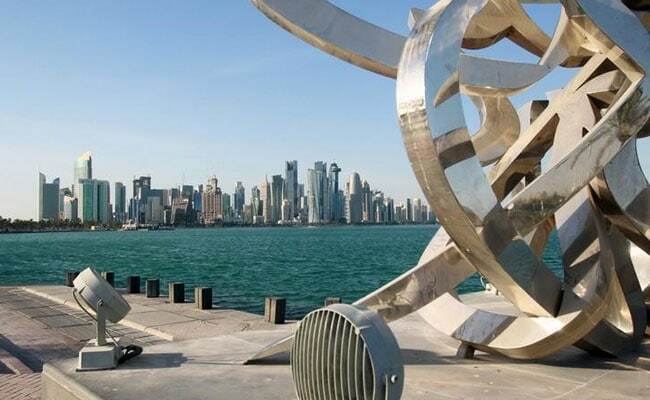 "We are closely following the emerging situation in the Gulf region in the wake of the recent decision by the Kingdom of Saudi Arabia and some other countries to break diplomatic relations with the State of Qatar," the External Affairs Ministry said in a statement. "We are of the view that all parties should resolve their differences through a process of constructive dialogue and peaceful negotiations based on well-established international principles of mutual respect, sovereignty and non-interference in the internal affairs of other countries," it said. On Monday, Saudi Arabia, the United Arab Emirates (UAE), Bahrain and Egypt cut off diplomatic ties with Qatar on allegations of supporting terrorism, including the Muslim Brotherhood. Yemen, Libya, the Maldives and Jordan also took similar steps. The statement said India was closely monitoring the situation in the Gulf and was also in regular contact with the regional countries. "Their authorities have assured us continued support for welfare and well-being of the resident Indian communities," it stated. "Indian expatriates in the region are advised to contact the Indian embassy or consulate concerned should they require assistance or advise consequent to the developing situation," it added. Meanwhile, the Indian Embassy in Doha has also issued an advisory to expatriate Indians in the Gulf country asking to them to remain updated about the developments and not to believe in rumours. With India having strategic energy interests in the region, Prime Minister Narendra Modi made important bilateral visits over the last three years to Qatar, Saudi Arabia, UAE and Iran. The ministry statement said India believes that peace and security in the Gulf are of paramount importance for the continued progress and prosperity of the countries in the region. "International terrorism, violent extremism and religious intolerance pose grave threat not only to regional stability but also to the global peace and order and must be confronted by all countries in a coordinated and comprehensive manner," it said. "India has time-tested friendly relations with GCC (Gulf Cooperation Council) countries. With over eight million Indian expatriates living and working in these countries, we have vital stakes in the regional peace and stability."